Call it what you want, I'm just calling it like I see it. I'm definitely not discrediting a well known companies products..
may get is 100% accurate without verifying it. ~9%-10% too high and was reported on the Forum..
That is one Ophir head that was confirmed to be off. If you have collected a statistically significant amount of data, by all means post it, and have it be independently verified. Anything you (as a single person) come forward with cannot be counted as credible - that would be unscientific. It was system donated to me with about 100 hours on it; basically new, but I suppose they had to be willing to donate it for some reason. These are only a couple data points, and do not prove anything. You know better, Jerry. There is no proven systematic inaccuracy of Ophir heads. You are making the claim, it is up to you to prove it. What we do here is science, not smoke and mirrors. Don't forget about knimrod's computer interfacing addon for his LPM... that was a big part of the project! So I got my Ophir sensor yesterday but it did not come with a molex conector cable. So I am unsure what is the corect pinout for it. It is a 150C-A-.1-C/ERB I have made a molex conector and leads but I dont want to hook this up backwards. Here is a pic Could someone help me figure out the pinout on this? 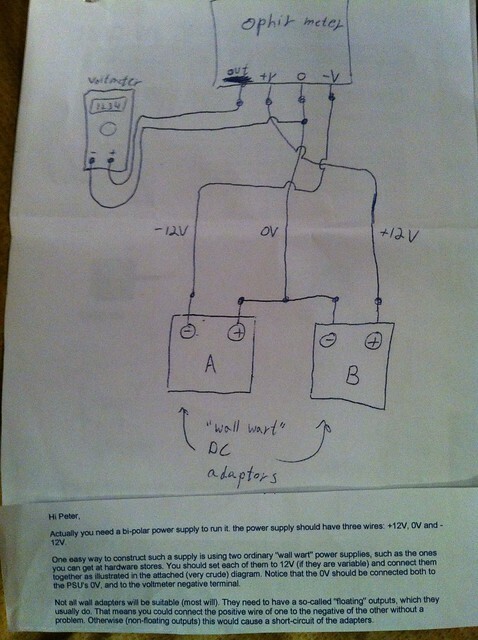 I have 2 different diagrams of how to wire this up and it's getting confusing. I went with this wiring diagram. I'm sure you know this, but I will add that dots or circles mean that two wires CONNECT and a round JUMP or Semi-Circle means they do NOT connect, that is just where they had to cross in the drawing but they do not connect electrically. If you look here, you can see my head with the wiring and actually I think both of the wiring diagrams you are seeing should end up being the same. I have seen that but it conflicts with this one. So that's what has me confused..
That one has the colors correct, but the wires are in no particular order. So it is correct, but only by color. Not position. Oh I see that's great. Thanks again Tom. I had the same problem when I was doing mine, but it was easier for me to figure out because I had the correct molex pin so my colors matched that diagram even though the positions did not - so I was able to put it together that the picture was just showing the wire colors in no particular order. Are the Ophir 150C suitable for visible lasers? They are made for high IR lasers right? I wondered about that as well but everyone and everything I read said they would work for any visible light lasers as well. I tested mine up against my LaserBee with blue and red and came up almost EXACTLY the same! 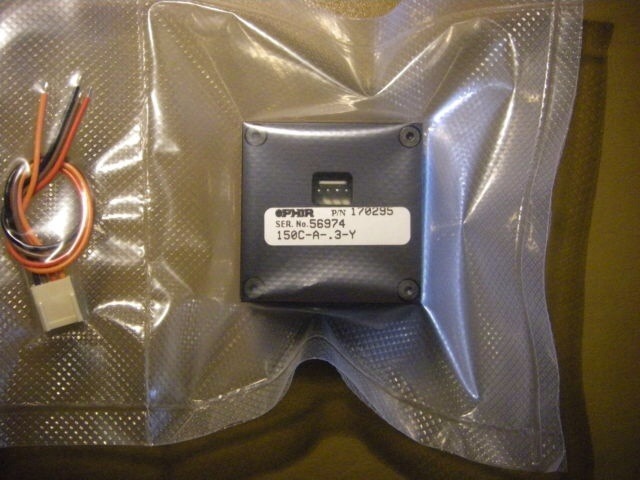 page 119 is this sensor. Well I went out to wallmart to grab some converters but they didnt have any so I went with the 9V battery option. I just tested my phr-805T I built the other day and I got 42ma on the Laserbee 2.5WUSB and 41ma on the Ophir and a 9mm 445 was a 746ma on the laserbee and 744 on the ophir. then a mits110 638nm and I got 70ma on the laserbee and 74ma on the ophir. So it is out a bit seems to be more so on the red. These were just quick tests. Since the ophir has such a quick response time I just fired up the laserbee till it peaked then quickly moved the laser onto the ophir Not the greatest procedure but it gives me an idea of how close they are. That was my method too BTW. Yep it turned out great.. Now to get it hooked up to a arduino for data logging and a display. And stick it in a nice box... Had to play arround with it a bit so I decided to throw the 2.5W and a 1.7W at it. the batteries in the 1.7 havent been charged in a while but still got just over 4W on the sensor..
Hopefully that board RHD was working on comes out of the woodwork... Busy Busy! Yeah, I bought the .3 version because it was still new in packaging and I liked the idea of being comfortable with it not having been abused beforehand. But I doubt it matters much. It looks like yours is working just fine!